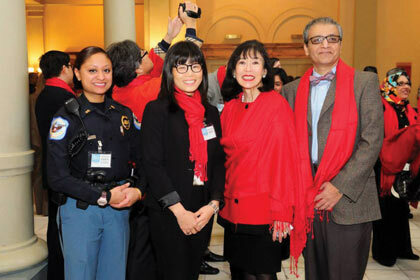 Karen Korematsu with Officer Dipa Patel. 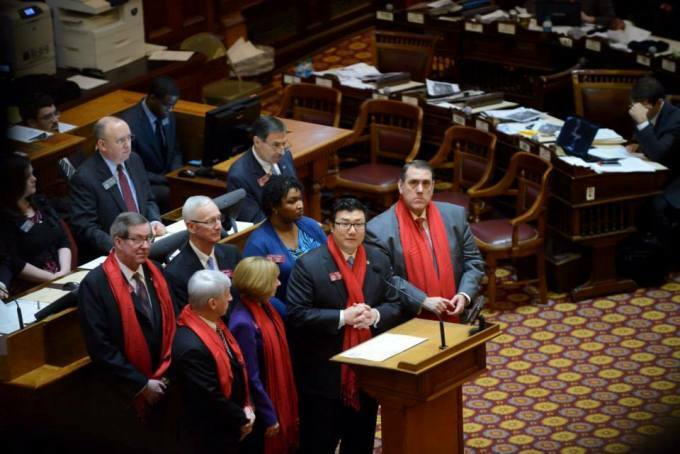 Asian Americans and Pacific Islanders (AAPIs) gathered at the State Capitol on February 6, 2014, to celebrate the 2014 AAPI Legislative Day and Georgia’s inaugural Fred Korematsu Day. The event was rescheduled from its original date on January 30, 2014, due to the snowstorm that hit Atlanta. This day highlights issues important to Georgia’s diverse AAPI communities, and raises awareness of Fred Korematsu, one of our country’s greatest civil rights heroes. During World War II, Korematsu, an American citizen, was prosecuted for conscientiously refusing to report to a Japanese-American internment camp. Originally upheld by the Supreme Court, his unlawful conviction was finally vacated over 40 years later through the efforts of a dedicated legal team. Korematsu said of his vindication: “I would like to see the government admit that they were wrong and do something about it so this will never happen again to any American citizen of any race, creed, or color.” He was awarded the Presidential Medal of Freedom in 1998, our nation's highest civilian honor. This was an historic opportunity to meet and listen to the daughter of a legendary civil rights hero, to share her personal stories about her father's courage. Ms. Karen Korematsu has produced lesson plans to discuss Fred Korematsu's story and its relevance in today's increasingly hostile environment for Arab, Middle Eastern, Muslim and South Asian American communities. The event drew over 150 participants from across the state. Georgia State Representatives B.J. Pak, Pedro Marin, and Brooks Coleman spoke at the morning Policy Briefing and Luncheon held at the Floyd Veterans Memorial Building. Farooq Mughal (MS Global Partners) and Mike Vaquer (The Vaquer Firm) moderated the briefing and explained the efforts to request legislation to install a permanent Asian Commission for the State of Georgia to oversee the interest of the Asian American diaspora. Karen Korematsu was the keynote at the southern barbecue luncheon. Representative Pak introduced the Resolution declaring January 30, 2014, to be Georgia's Inaugural Fred Korematsu Day, joining several other states across the country. In addition to Korematsu, champions from the AAPI community were recognized by the Georgia General Assembly. 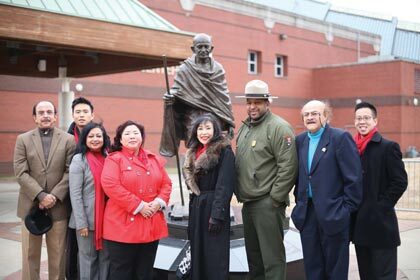 They include Officer Dipa Patel, Georgia’s first Indian-American female peace officer; Dr. Yaseen Abubaker, Boardmember of the US Fund for UNICEF (SE Region) and founder of the SAF Foundation, a nonprofit that assists disabled children; Ms. Hyunjin Son, Gwinnett Teacher of the Year; and Dr. Josephine Tan, Chair of Georgia’s last Asian American Commission under Governor Sonny Perdue and Georgia Power's Asian Liaison. These champions serve all of Georgia's communities, and embody electoral issues that are vitally important to AAPIs: education, public safety, healthcare, business development, and civil rights. Bonnie Youn, emcee of the luncheon, has explained how Karen herself came to participate in Atlanta's event: Ms. Korematsu herself phoned Bonnie to say that she had heard that the original Jan. 30 event had to be rescheduled because of snow, and said, "would it make it better if I could come out and join you?" She was participating in a Korematsu Day event on that day, but could come to Atlanta on the rescheduled day. She shared that her mother, who is from the South (SC) had just passed away this past October, so a Korematsu Day event in the South is very meaningful for her. When her mother passed, the Korematsu Institute received a donation in her memory, and Karen said she found it appropriate to be using those funds to travel to Atlanta to join us. 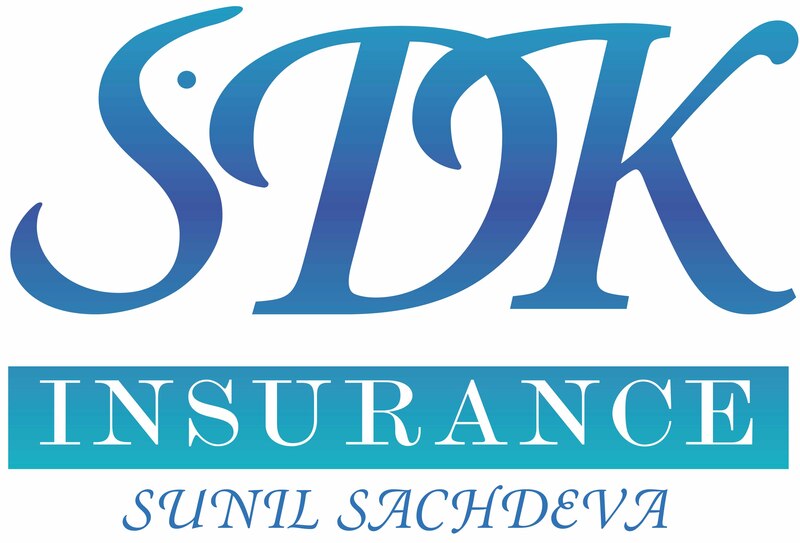 K)	Videos: (A) [Interview] Attorney Dale Minami. The internment of persons of Japanese ancestry during World War II sparked constitutional and political debate. In the 1940s, two men and one woman--Hirabayashi, Korematsu, and Endo--challenged the constitutionality of the relocation and curfew orders. While the men received negative judgments from the court, in the 1944 case ExParte Mitsuye Endo, the Supreme Court ruled that, "Mitsuye Endo is entitled to an unconditional release by the War Relocation Authority." Some people refer to the relocation centers as concentration camps; others view internment as an unfortunate episode, but a military necessity. During the Reagan-Bush years Congress moved toward the passage of Public Law 100-383 in 1988 which acknowledged the injustice of the internment, apologized for it, and provided a $20,000 cash payment to each person who was interned. One of the most stunning ironies in this episode of American civil liberties was articulated by an internee who, when told that the Japanese were put in those camps for their own protection, countered "If we were put there for our protection, why were the guns at the guard towers pointed inward, instead of outward?" “I had the extraordinary opportunity to spend time with an amazing man, Dale Minami. To say that Dale's work for AAPI civil rights is legendary, would be an understatement. He shared with me some of his war stories of legal strategizing as his team of 15 prepared for the Korematsu case. “When the Korematsu team filed his coram nobis petition to vacate the conviction, the government actually offered Fred a pardon. The government thought it was an embarrassment, and wanted the case to go away. However, when Korematsu was presented with that option, he refused. A pardon would still mean he was guilty--it did not undo the conviction itself. “And so history was made. Today, we can say that the Japanese American internment was unconstitutional. But it took the strength of a legal team, and a man who was willing to stand up for what was right and just. “I hope all of us can remember those same lessons today. Today, we honor the legacy of Fred Korematsu, a Japanese American hero who stood his ground in the face of injustice. After the Pearl Harbor attacks in 1941, Fred Korematsu challenged President Franklin D. Roosevelt's Executive Order 9066 that authorized the U.S. military to forcibly remove more than 120,000 people, mostly of Japanese descent, from their homes and into incarceration camps throughout the country. Two-thirds of these people were American citizens. Mr. Korematsu went into hiding in the Oakland area, becoming a fugitive, and was arrested and convicted of violating the federal order. His case went all the way to the U.S. Supreme Court. In a 6-3 decision, the Court upheld the constitutionality of Executive Order 9066 under the justification of national security. In 1980, President Jimmy Carter appointed a special commission to investigate Japanese American internment during World War II. The commission concluded that the decisions to remove those of Japanese ancestry to internment camps occurred because of "race prejudice, war hysteria, and a failure of political leadership". Four decades after the Supreme Court decision, a legal historian discovered evidence proving that U.S. intelligence agencies knew that Japanese Americans posed no military threat to the country during World War II. Mr. Korematsu's conviction was overturned in 1983 by District Judge Marilyn Hall Patel. When Mr. Korematsu stood in front of Judge Marilyn Patel he said these famous words: “I would like to see the government admit that they were wrong and do something about it so this will never happen again to any American citizen of any race, creed, or color.” In a formal apology under the Civil Liberties Act of 1988, the U.S. government granted $1.6 billion in reparations to all Japanese Americans who had been interned. In 1998 when President Clinton awarded Mr. Korematsu the Medal of Freedom, the highest civilian honor, he stated, "In the long history of our country's constant search for justice, some names of ordinary citizens stand for millions of souls. Plessy, Brown, Parks … to that distinguished list, today we add the name of Fred Korematsu." Today, we honor the legacy of Fred Korematsu so we will never forget the injustices inflicted upon innocent citizens who were incarcerated, treated like second-class citizens, and denied due process and equal protection guaranteed to them by the Constitution. The stories of Fred Korematsu and of many other leaders in the fight for civil rights not only remind us of the wrongs in history, but also serve as a learning opportunity for all of us on how we should treat our neighbors and fellow citizens. Today, we remember the dangers of casting stereotypes based on race, religion, or sexual orientation. And we recommit to our country’s ideals of protecting civil rights and promoting an environment where people can strive to achieve the American dream based solely on the content of their characters, not on the color of their skin, where they come from, or who they love. Listen to him at 21:18, sharing his thoughts on the lessons learned from ‪#‎FredKorematsu‬'s courage: "I think the most significant [lesson] … is that Justice is not self-executing. Justice is not a gift. It’s a challenge that we must continue to fight for these rights. Because the institutions we have, as good as they may be, . . . cannot sustain your rights in a time of crisis. So I think it’s up to us to be activists, it’s up to us to support each other, because when one’s rights go challenged, it’s everybody’s rights that are challenged." While he cannot join us for ‪#‎KorematsuDayGA‬ on Feb. 6, we thank him for his eloquence! Thank you to Sung Ku Hong at Newsnpost for videotaping the interview, and to Christopher J Chan and the law firm of ‪#‎SutherlandAsbillBrennan‬ for hosting us! A video I produced for the Fred T. Korematsu Institute for Civil Rights and Education in SF. The Institute is creating and distributing K-12 curriculum to roll out to classrooms all across California. The lesson plans will discuss Fred Korematsu's story and its relevance in today's increasingly hostile environment for Arab, Middle Eastern, Muslim and South Asian American communities. The short video featuring Fred's daughter, Karen Korematsu, will be part of the curriculum kit CA teachers receive and show to students. Chairwoman of the Gwinnett County Board of Commissioners Charlotte Hall Nash was also a speaker at the Breakfast Policy Briefing at the Capitol. Judge Carla Wong McMillian, Court of Appeals of Georgia, introduces Karen Korematsu with a moving memorial to her father Fred Korematsu, and his case that made history. Judge McMillian is the first elected AAPI female judge in Georgia, and is the first AAPI to serve on a state appellate court. FK_Day_GA_Graphic_250pxThe Georgia Asian American & Pacific Islander (AAPI) Task Force will commemorate Fred Korematsu Day together with its 2014 AAPI Legislative Day at the State Capitol on January 30, 2014, from 9:30 am – 2 pm. The Task Force expects more than 150 participants from across the state to convene in Atlanta hoping to raise the visibility of AAPIs in Georgia, educate AAPI communities about the importance of civic participation especially at the state level, and to dialogue and develop relationships with members of the Georgia General Assembly. 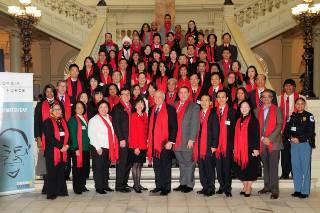 The Georgia AAPI Task Force will offer advocacy training, opportunities to meet with legislators, group photo opportunities with elected officials, breakfast at the Capitol, and a luncheon at the Sloppy Floyd Building with government speakers. The Day will also commemorate Fred Korematsu with the introduction of a Resolution by state Rep. Byung J. “BJ” Pak declaring January 30, 2014, as Georgia’s inaugural Fred Korematsu Day. San Francisco-based attorney Dale Minami, a member of the Korematsu coram nobis legal team, will provide the luncheon address. 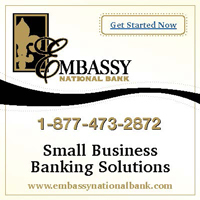 Thank you to Bonnie M. Youn. 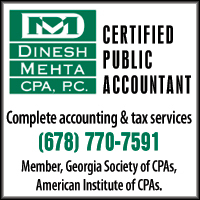 Learn more at http://www.aapilegislativeday-ga.com. The annual Gwinnett County Teacher of the Year is Korean American Hyunjin Son of Gwinnett School of Mathematics, Science, and Technology. It is the school system’s highest honor. The announcement took place during the annual celebration on Thursday, November 7, 2013, at the Gwinnett Center in Duluth. 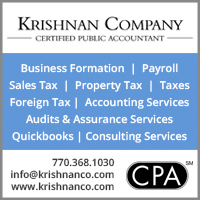 The Center for Pan Asian Community Services (CPACS), the largest nonprofit AAPI service organization in the Southeast, which was the fiscal agent for the event. The Islamic Speakers Bureau of Atlanta (ISB) for joining as a Community Partner — with Soumaya Khalifa.